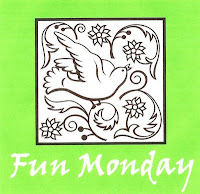 Return of the White Robin: Fun Monday - Music to My Ears. Fun Monday - Music to My Ears. For this week's Fun Monday assignment our host, Ari at A Prawn of Fate has asked "What is the most beautiful sound in the whole world? Once you've told us that, give us the flip side, too: What is the sound you dislike the most?" The sound of my grandchildren playing is a wonderful sound and surely one of the most beautiful in the world. This video stars two of my three lovely grandkids. One of the sounds that I dislike is the breaking of glass. Breaking glass indicates something has been damaged whether that is a glass falling to the floor at home, a beaker being knocked over on a lab table at school, or a headlight being broken in an automobile crash. The sound then is followed by the necessary cleanup. If I am the one cleaning up the glass, I worry that I might miss a piece. In turn, I neurotically worry that someone might step on the broken glass. I'm with you on the breaking glass. I dropped one yesterday and cursed (yes, my son heard it). Somehow, just saying OH NO! doesn't quite cut it. Thanks for volunteering to host February. I'll mention that on my FM sidebar! 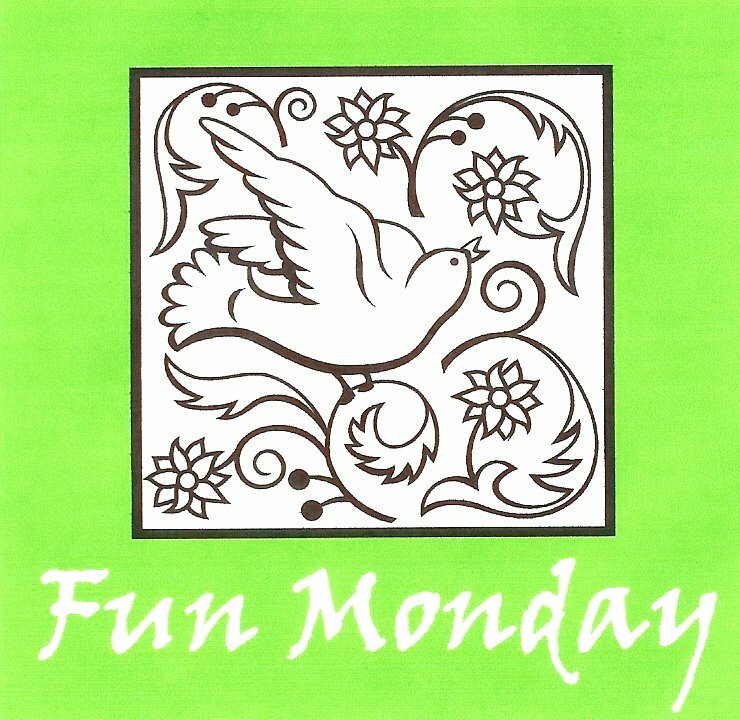 Thanks for volunteering to host Fun Monday for February. I can see why you love the happy voices of your grand children. Watching the video I'm intrigues by the way that siblings seem to understand each other, even if one doesn't have the words yet. Never thought about the sound of breaking glass, but it does prompt a lot of negative feeling--destruction, loss, danger, regret. I remember--as am sure others do--the sound of glass shattering in a car accident. There is nothing much more delightful than hearing those grandbabies, I must agree ! AACCHHKK ! Glass breaking is never good . . .unless it was the time I had to break the window to get into the house. Thanks for hosting next time ! Awwe - they are adorable! The sweet sound of children playing and laughing is so endearing! You are right about the broken glass. When I listened to the sound bite, my heart was fluttering! I do love grandbabies! and you are so right about breaking glass. I had not thought of it but you are so right.